Most of the subways in New York are rather new and have a blue color scheme. Every once in a while though, one can find an old train, like this one that I took to Columbus Circle. 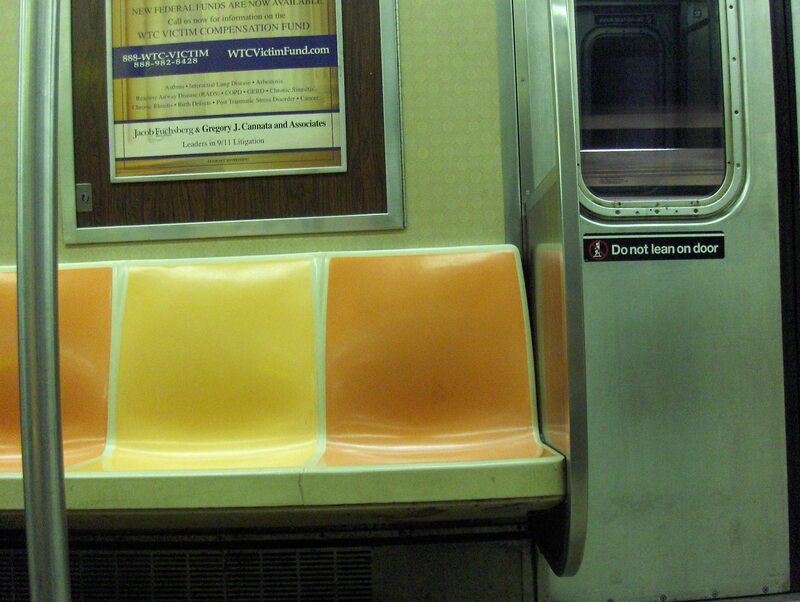 I love the old orange seats.